1. In high school you got the award for Most School Spirit. Any advice for people who hate the holidays, given how spirited you are? When people say they hate the holidays I get it, because I sort of hate New Year’s Eve. I hate the monkey-circus, weekend-warrior aspect, so what I like to do is have a New Year’s party with my kids, who are 11 and 13. I’ve learned to just make it my own. If you don’t like the holidays for the traditional reasons, then make it your own: make your own traditions, do something completely off-the-wall. 2. Do you ever look in the mirror and think, God I look good? 3. If there were a gun to your head, who would you sleep with, Wayne or Garth? 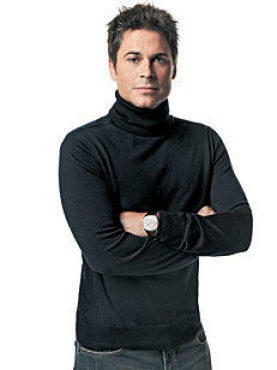 Rob Lowe stars in A Perfect Day, Monday 18 at 8pm on TNT.